The first thing I came across was The Use of Information in Decision Making – Literature Review for the Audit Commission (2008), prepared by Dr Mike Kennerley and Dr Steve Mason, Centre for Business Performance Cranfield School of Management, but that wasn’t it… This document does mention a set of activities associated with the data-to-decision process: Which Data, Data Collection, Data Analysis, Data Interpretation, Communication, Decision making/planning. * Accuracy – data should be sufficiently accurate for the intended purposes. * Validity – data should be recorded and used in compliance with relevant requirements. * Reliability – data should reflect stable and consistent data collection processes across collection points and over time. * Timeliness – data should be captured as quickly as possible after the event or activity and must be available for the intended use within a reasonable time period. * Relevance – data captured should be relevant to the purposes for which it is used. * Completeness – data requirements should be clearly specified based on the information needs of the body and data collection processes matched to these requirements. 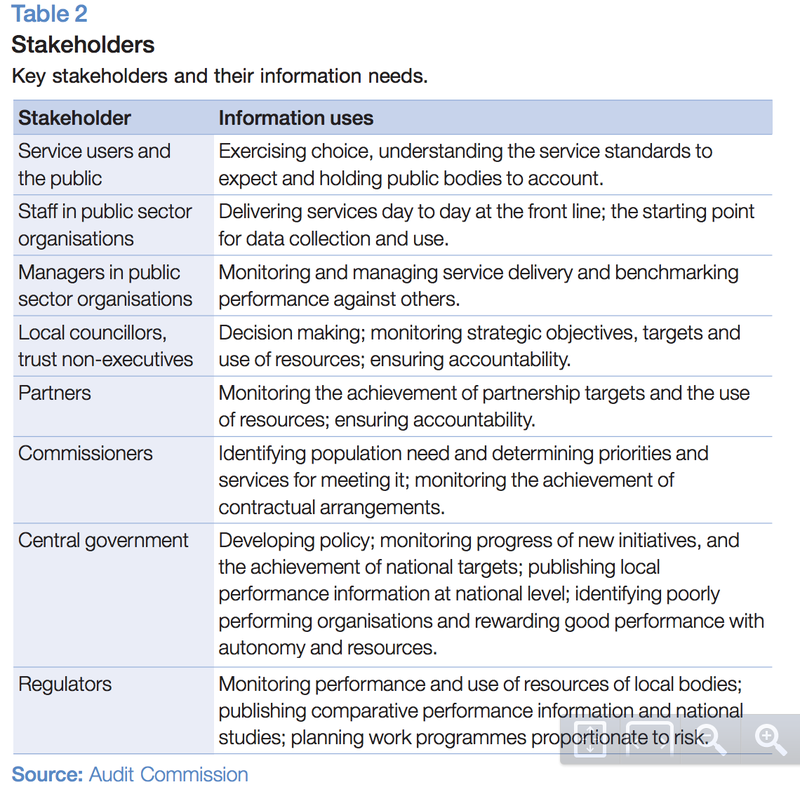 In the context of the data/information/knowledge definitions, the Audit Commission discussion document also references the 2008 HMG strategy document Information matters: building government’s capability in managing knowledge and information which includes the table in full; a citation link is provided, but 404s, but a source is given to the November 2008 version of Improving information, the one we originally started with. So the original reference forward refers the table to an unspecified report, but future reports in the area refer back to that “original” without making a claim to the actual table itself? 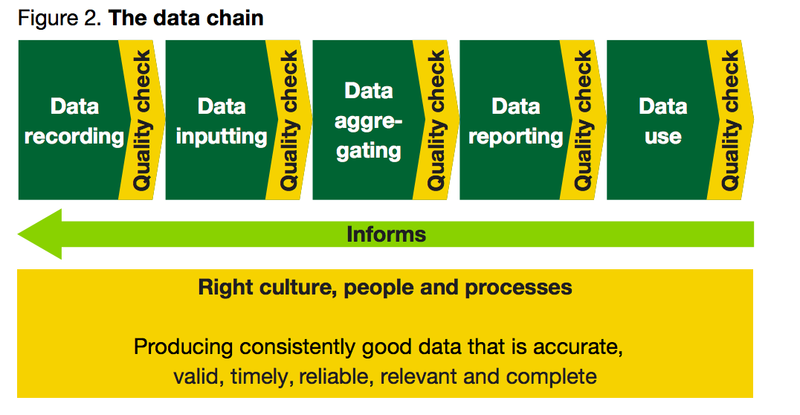 Just in passing, whilst searching for the Improving information report, I actually found another version of it… Improving information to support decision making: standards for better quality data, Audit Commission, first published March 2007. The table and the definitions as cited in Information Matters do not seem to appear in this earlier version of the document? PS see also Audit Commission – “In the Know” from February 2008. So the ‘forthcoming’ document was probably never forthcoming. Could be quite a handy trick, I guess. In document A reference something in forthcoming document B. You never produce document B but a future document C can reference document A, and document B is not need. That ‘data chain’ is pretty, but I’m not sure what story it is trying to tell. What is that ‘informs’ arrow doing?